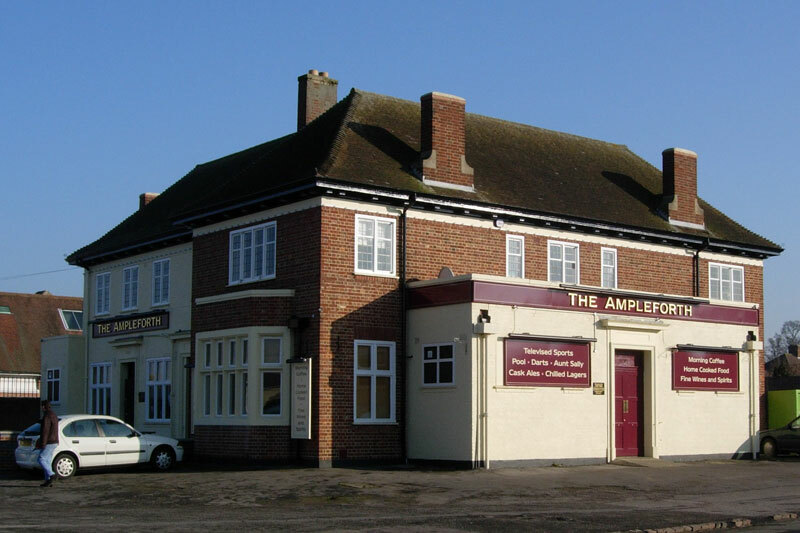 The Ampleforth Arms pub at 53 Collinwood Road, Risinghurst was built by Ind Coope in 1939 when the Risinghurst estate was newly developed. It became the local of C. S. Lewis, who lived nearby at The Kilns. “Part demolition of the existing public house. Part redevelopment and conversion to create a new community run public house at basement and ground floor level and 3 x 2-bed and 3 x 3 bed residential apartments over ground, first and second floors. Erection of 1 x 3-bed dwellinghouse (Use Class C3). Provision of private amenity space, landscaping, car parking and associated infrastructure”. A complete refurbishment started at the beginning of October 2017 and the pub reopened on 25 November. It is run by members of the local community.